Another week for the Jr Ticats Tykes! Updated Sunday November 8, 2015 by Hamilton Football Association. The Tyke Jr Ticats defeated TC Purple yesterday with a final score of 40-31 placing them in the OFL Tyke Division Final Championship. A well executed game by Coach Mike and his staff and a well-played, young Jr Ticat team! More details to follow regarding Championship date and time. Congratulations to you all! 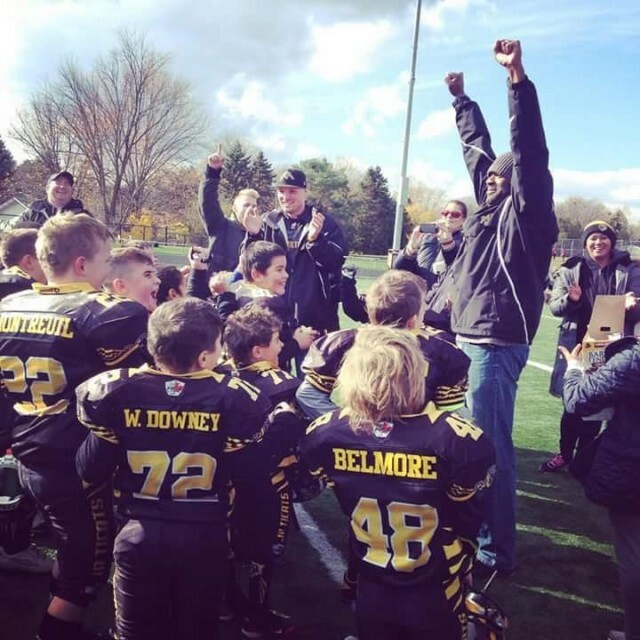 In other football news yesterday, the Atom A Jr Ticats fought a tough battle against Cambridge in their division finals. The final outcome was a season-ending loss for the Jr Ticats 0-20. Congratulations team for taking us this far! Great job! HFA Nation is proud of you!